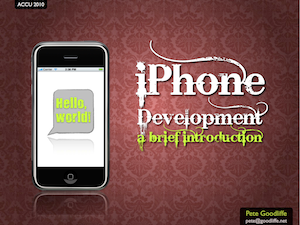 The slides from my ACCU 2010 presentation on iPhone development are now available, for those who wanted a copy. You can view them on SlideShare here. Could you please make slides available for download? Good resource to find wonderful slides .